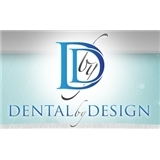 Dental By Design (Phoenix) - Book Appointment Online! Our comprehensive dental services include checkups and cleanings, implants, veneers, crowns and bridges, full mouth reconstructions, and Zoom!® professional teeth whitening. We are also a premier provider of Invisalign® clear aligners!